Pets are family and likewise an important factor in furniture buying decisions. Who does not recognize blankets, towels, and plastic covers draped over furniture to “protect” it from our beloved pets? 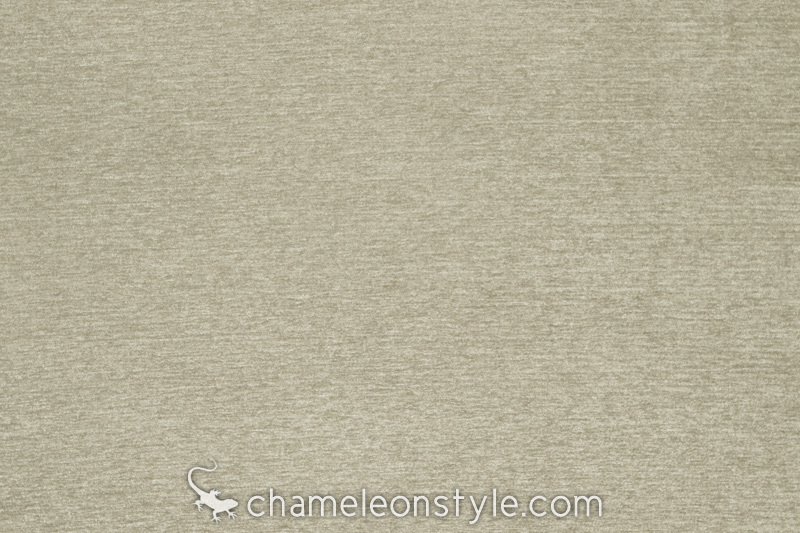 Chameleon Fine Furniture™ has many possible solutions for pet–owners to keep you “covered”. Why Chameleon Fine Furniture™ is the pet-friendly furniture solution for you and your Pet! 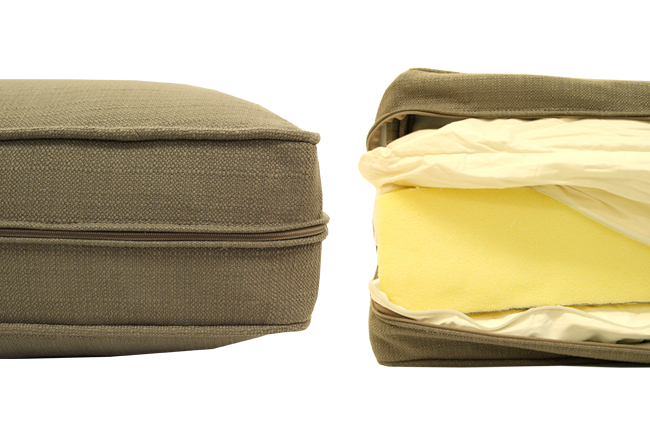 Chameleon Fine Furniture’s best pet-friendly feature is its removable, washable covers. Enjoy the freedom of snuggling up with your dog, cat (or both!) knowing that the cover can be thrown in the washer and be able to have fresh, clean furniture. For a completely washable cover the fabric is laundered before the cover is sewn. This helps protect the cover from further shrinking or losing its shape. Please see our section on washable fabrics as some fabrics are dry-clean only. Chameleon Fine Furniture™ incorporates a special “envelope” that acts as a protective casing for the seat and back cushions to guard the foam core from a stain penetration. Not only can the outer cover of your Chameleon Fine Furniture™ piece be washable but so is the envelope. The envelope has a zipper (unlike most other companies) making it easy to remove the envelope and throw in the washer and dryer for cleaning. This helps to remove any odors so the pet will not re-offend. 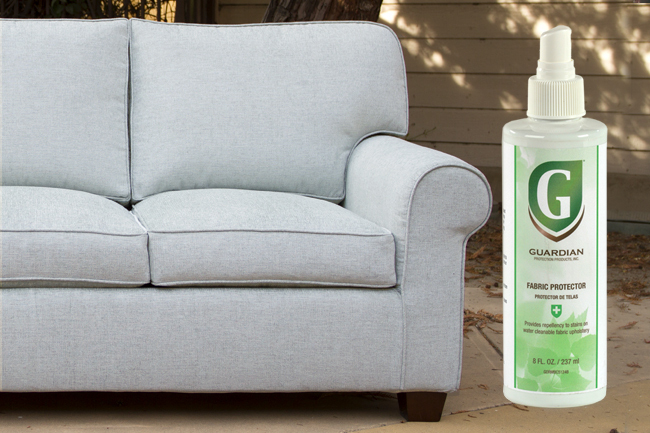 To protect the canvas upholstered base unit from possible staining your Chameleon Fine Furniture™ piece, we highly recommend adding Guardian® Fabric Protector spray. This can be done at the time of purchase or a bottle may be purchased for your own application in your home. Chameleon prefers the Guardian® spray to other brands because of its non-toxic properties. 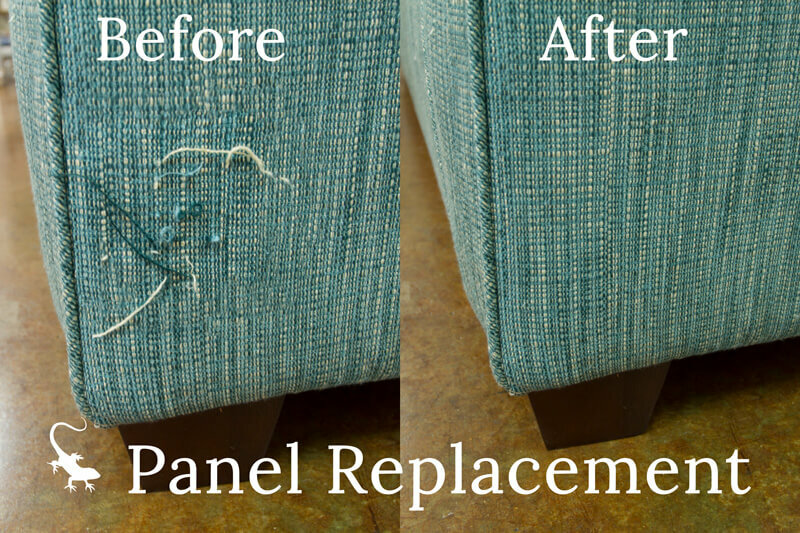 Chameleon Fine Furniture’s removable covers make fixing the damage of pet “wear and tear” so much easier. 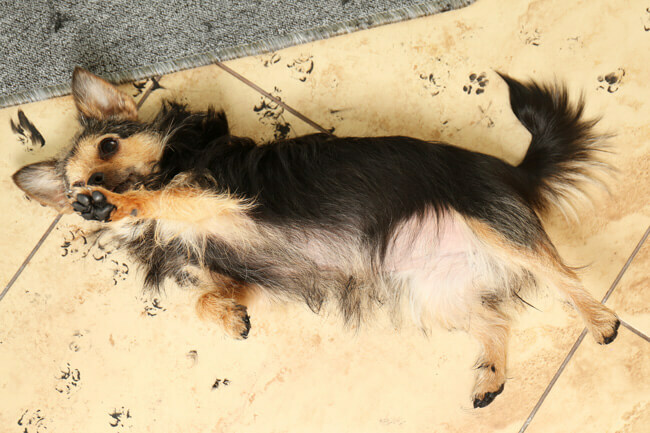 For damage from cat scratching or puppy chewing, the cover can be removed and just the damaged part can be repaired at minimal cost. 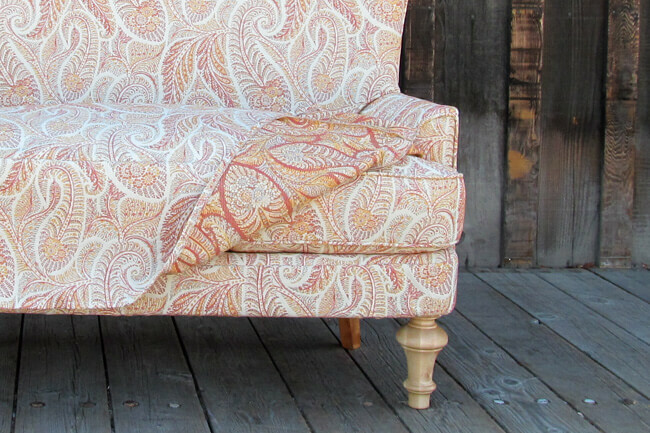 With traditional upholstered furniture the entire piece most often will need to be entirely reupholstered. With Chameleon Fine Furniture’s removable covers, there are some great inexpensive kitty scratching prevention options! One of which we like to call “Kitty Anti-Scratch”. It utilizes vinyl carpet tack tape protector that can be bought in most home improvement stores. When cut into strips, it can be inserted on the corners of the furniture (the most common place for scratching in our experience). This creates a surface that most cats will find “not so appealing” and will help prevent them from scratching your favorite furniture! We encourage the purchase of a few extra yards of fabric to match your Chameleon Fine Furniture™ piece for dog blankets, cat caps, arm covers, or replacing damaged/faded parts of your sofa. This is one of the major reasons Chameleon Fine Furniture™ is sold in a fabric store environment. 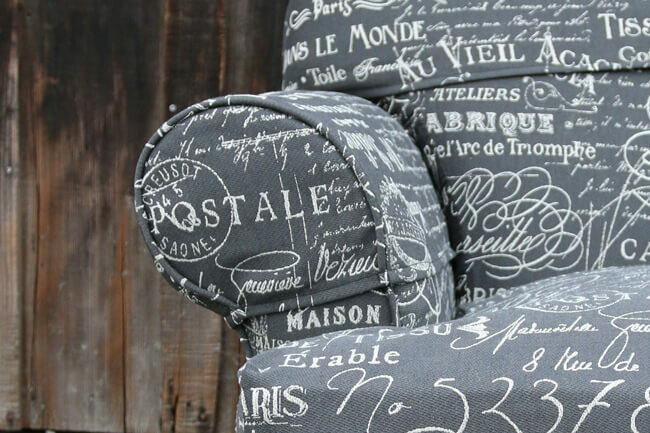 Besides the virtually limitless selections, fabrics are also sold at mill-direct prices and makes buying the extra yardage an affordable option. 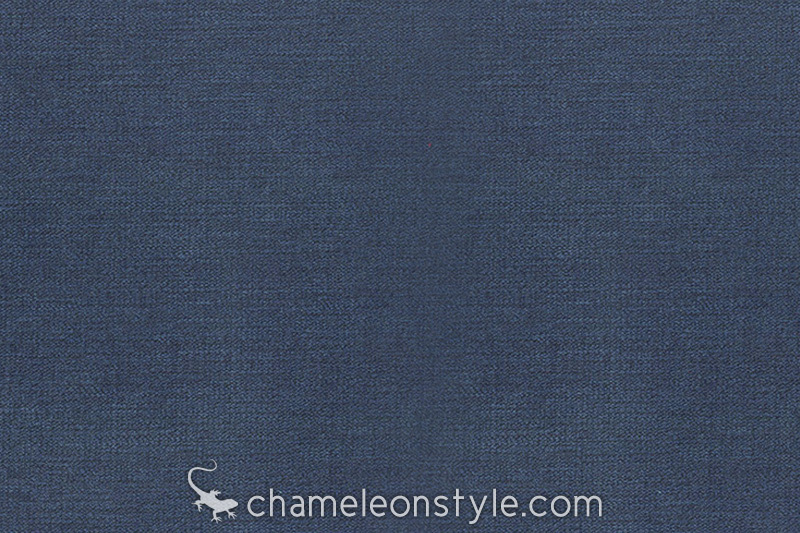 Chameleon Fine Furniture™ Dog Blankets are fitted to the shape of your seat cushion and can be made from the same fabric as the sofa so it blends and matches perfectly instead of blankets and towels from the closet that match nothing! 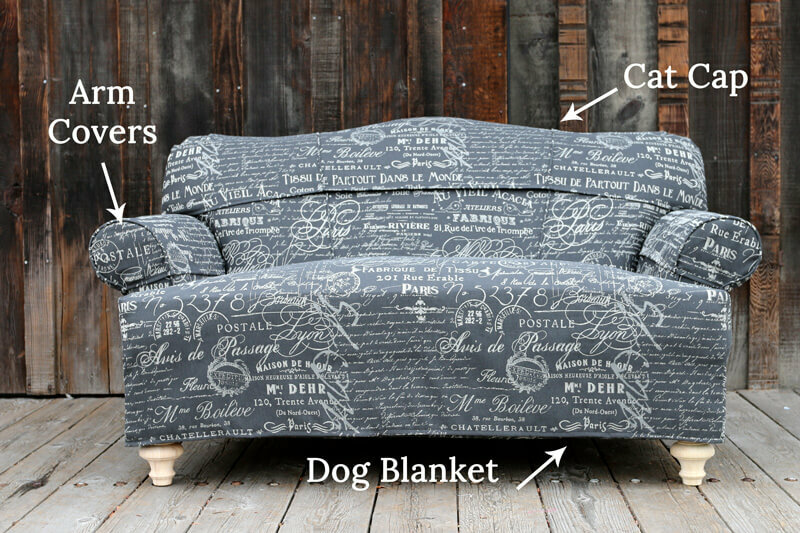 We also offer a long version of the dog blanket that covers the front of the furniture (where your furry friends often rub up against the most). Dog Blankets can be easily removed and washed without having to worry about the rest of the sofa. Chameleon Fine Furniture™ Cat Caps are fitted to the back of the furniture piece. Many cats (and small dogs) like to sit on the back of the sofa and enjoy watching TV with you. Cat Caps protect your cushions not only from pet fur, but also from dirt, body oil (from hair and head) and they can even protect against sun fading if near a window. Cat Caps can be easily removed and washed without having to worry about the rest of the sofa. Arm covers are not new to the furniture world, but still hold a lot of value in protecting your furniture. Cats love to lay, and even sometimes scratch the arms of chairs and sofas. Arm covers are a great solution to protect your furniture. 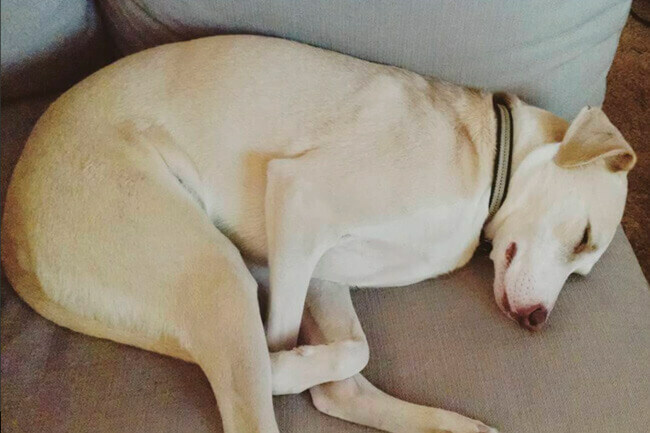 The arms of your furniture are used a lot, not only by your pet, but by you too! What makes a fabric Pet Friendly? 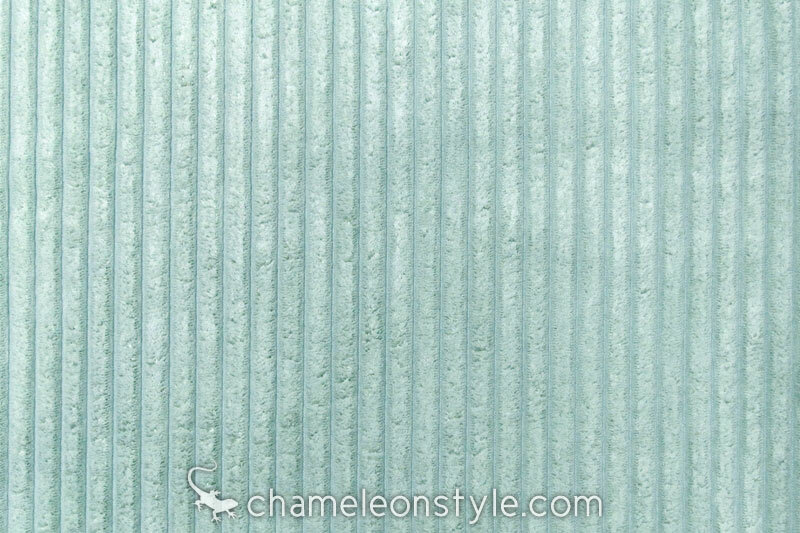 Chameleon Fine Furniture™ has removable & washable covers for which we have many fabric options that are great for pets. 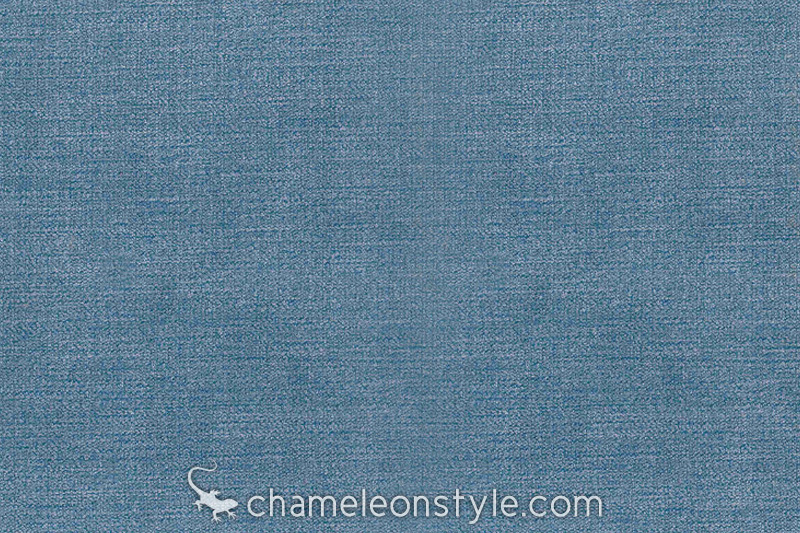 Even if you don’t have a Chameleon Fine Furniture™ piece, there are fabrics that are naturally more stain resistant than others. With the help of fabric protector options, and some of our dog and cat blankets, you’ll have the tools you need to fight stains! If your pet sheds, you will inevitably be dealing with pet hair no matter what fabric you choose. 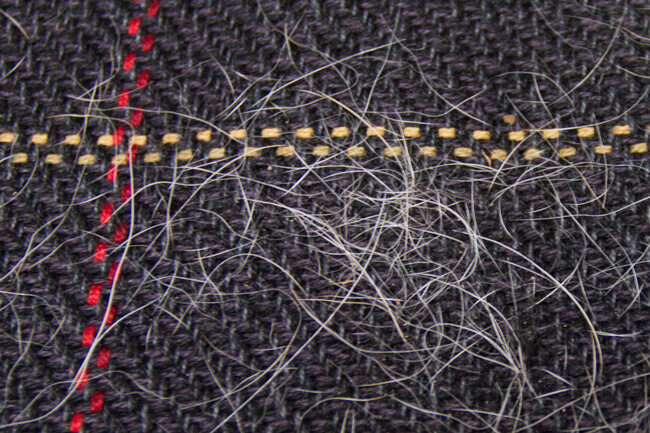 However, some fabrics are just better when it comes to pet hair. Fabrics with a tight backing that can help prevent the hair from weaving its way through, or a fabric with a smooth finish that will keep the hair on the surface will make it easy to vacuum up or use traditional lint brushes. If your pet’s claws are sharp enough, nothing stands a chance against snags…however, there are fabrics that aren’t as likely to snag. 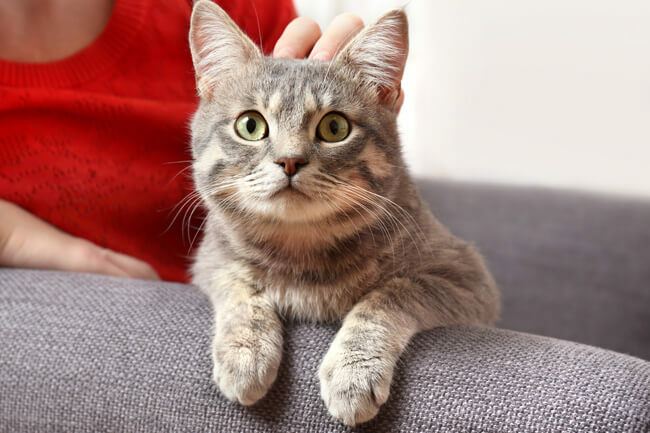 Fabrics with a tight, small weave and/or a smooth texture make it more difficult for your pet to get their claws stuck on your furniture throughout their everyday routine. 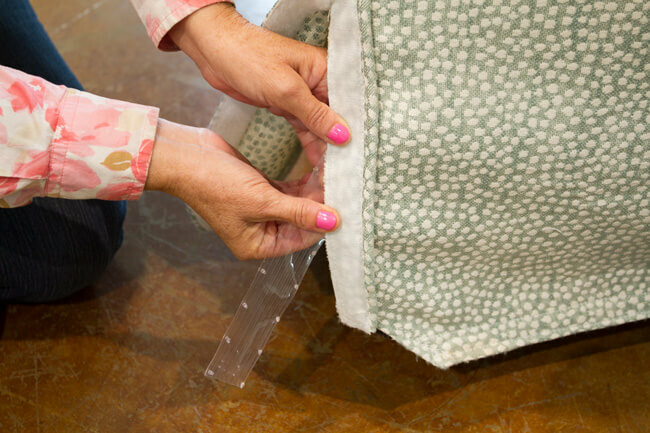 Upholstery fabrics with a good backing keep fabric strands in place, which helps with snagging as well. Although most fabrics today come with some sort of stain protection, it may not be enough to guard against the many types of stains that come along with the pet-owner life. Once a stain occurs, certain fabrics can be difficult to wash because the pattern could stretch, shrink or even discolor depending on many factors. Some fabrics actually can attract more pet hair! 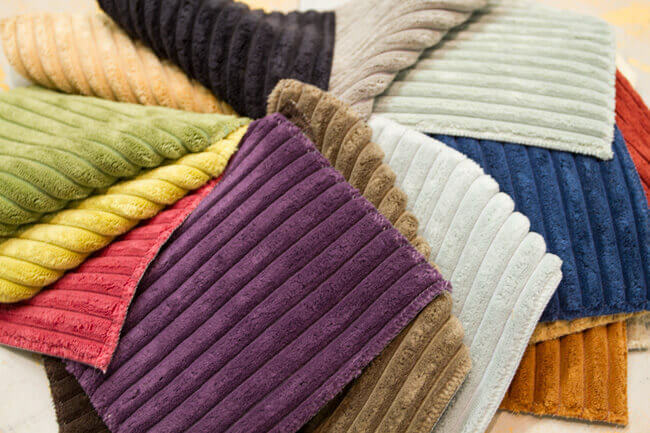 Certain fabrics can generate more static or have a structure that pet hair can actually weave its way into and through the fabric, making it more difficult to remove by vacuuming or with lint brushes. 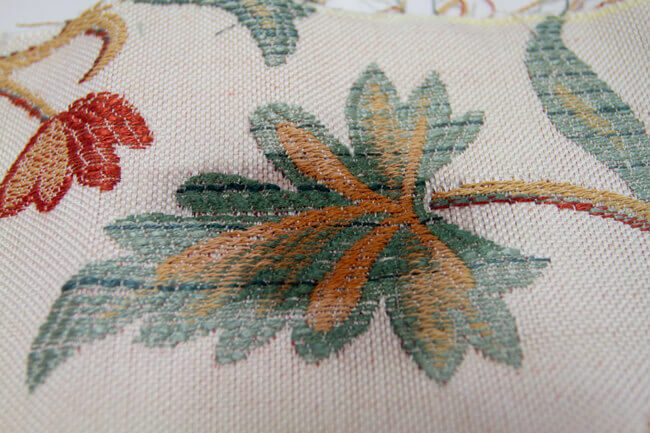 Although most fabrics are no match to a dog or cat’s claws, fabrics with basketweave woven textures (especially those without a backing to keep threads in place) are most prone to snagging. 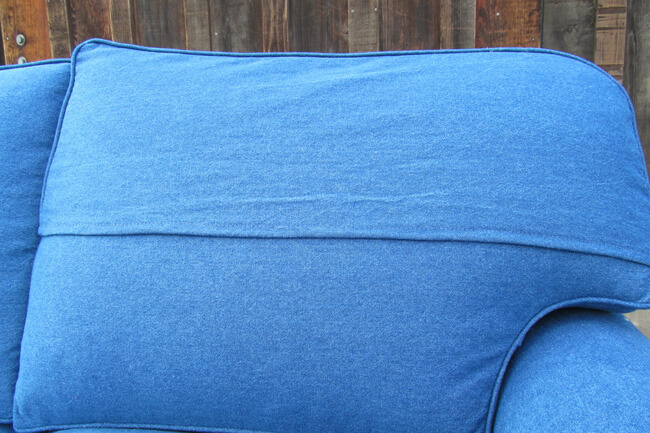 Some fabrics just seem to snag more easily than others and are very attractive to pets for scratching posts! 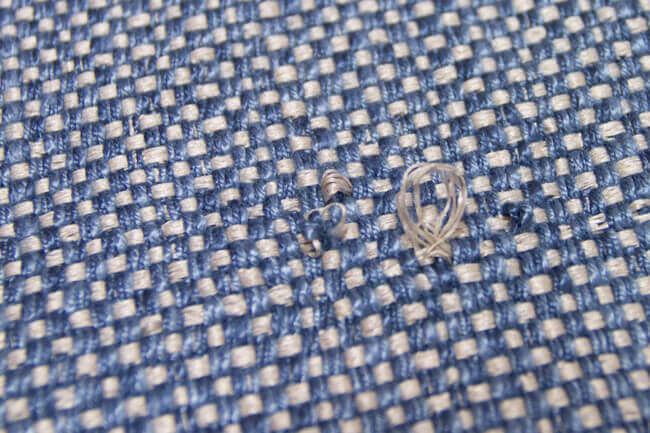 Microfibers are easily cleanable and durable. 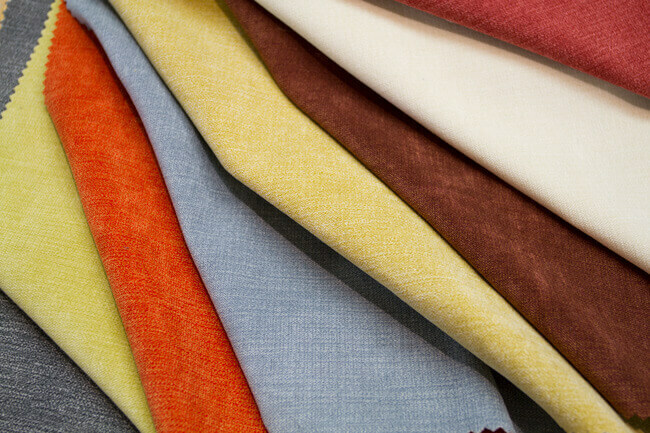 Made from 100% Polyester, these fabrics are usually great for washing, as they won’t shrink or change shape over time. 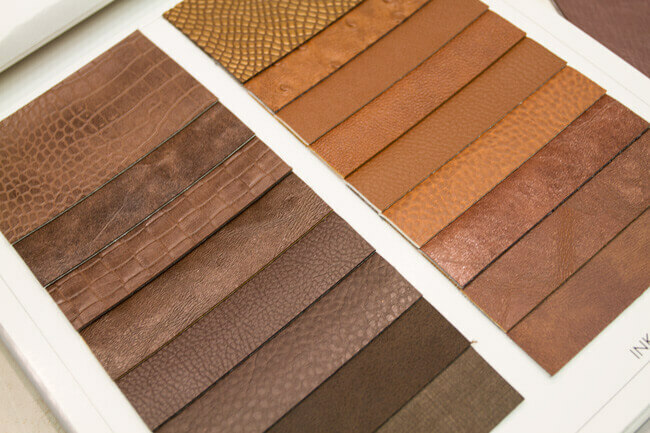 The smooth finishes are not only cozy, but are less likely to attract pet hair (or allow pet hair to embed in the fabric) and also less likely to pull and snag like woven fabrics. 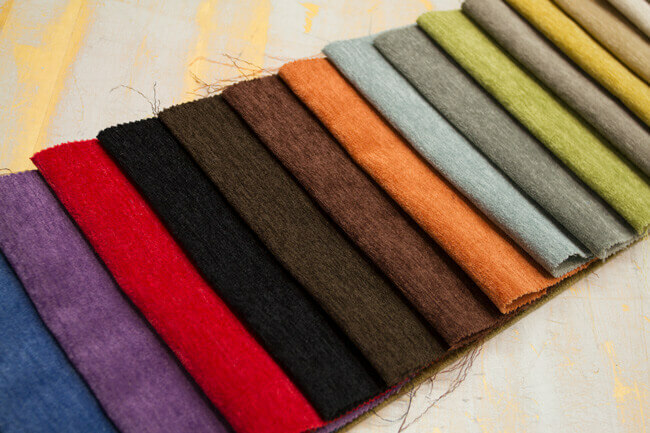 Microfibers come in many different textures and colors for any design style. 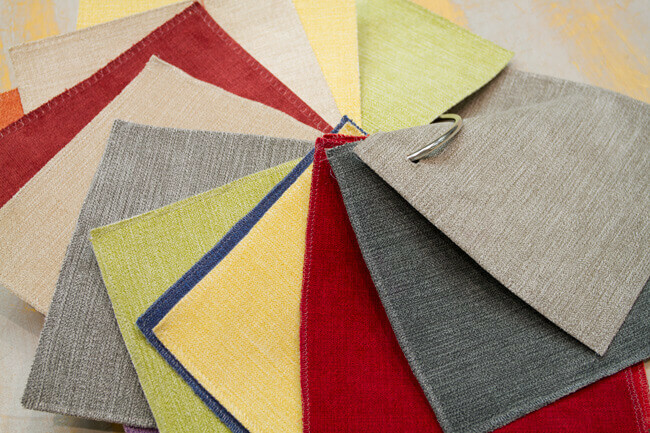 These fabrics all have specialty solutions embedded in the fabrics to make them virtually stain resistant. These are great for fixed upholstery pieces. The best performance fabrics, however, won’t solve the problem if a puppy chews or a cat scratches. 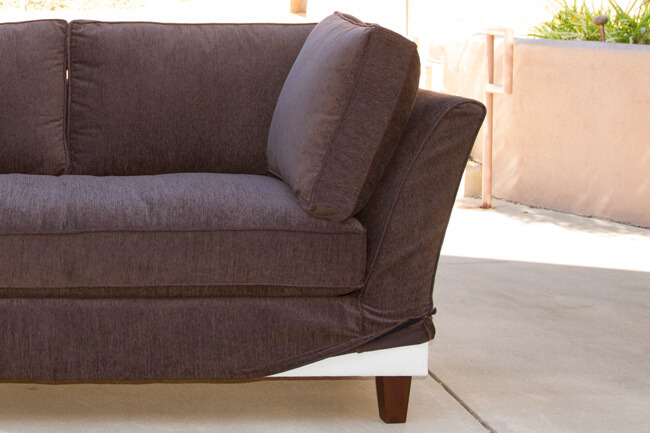 Chameleon Fine Furniture’s insertable “Kitty Anti-Scratch” solution prevents scratching in the first place, and the removable covers allow for replacing damaged panels of fabric without having replace the entire cover or reupholster the entire sofa. A stain can be quickly wiped up making it the conventional choice for furniture buying. Although a great choice for many reasons, it can still be scratched (from belts, rivets on jeans, or pet claws), permanently stained from body oils (near the head and arms), and can fade, crack, or peel depending on the quality of the leather itself. We have a selection of pet-friendly fabrics online, as well as many more options in our retail store. Feel free to browse here and contact us if you are looking for something more specific.